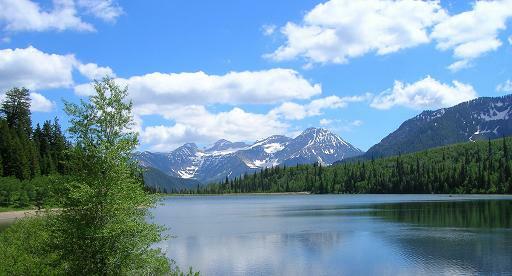 Silver Lake Flat Reservoir is a pretty little lake located up American Fork Canyon, past Tibble Fork Reservoir. Remember that at Silver Lake Flat Reservoir there is no camping allowed within 1/2 mile of the lake. Forest Service officials have been known to ticket people who ignore the signs that are posted there warning people. Silver Lake Flat is drained extremely low by the end of the summer most years, however a small pool does remain most years. It is likely that many fish winterkill in the water that remains. However, the lake is stocked fairly regularly throughout the summer with catchable sized fish, so there should always be some opportunity to catch fish while you're there.